The Victorian Responsible Gambling Foundation takes a public health approach to gambling harm. This approach recognises that harm is felt across a spectrum from low to severe, and that a range of individual, socio-cultural and environmental determinants contribute to the harm experienced by individuals, communities and populations. Through our research program, the Foundation aims to build the gambling evidence base, as well as research capacity and capability in Victoria and elsewhere, to reduce and prevent gambling harm at a population level. Importantly, over the next five years, this will include a focus on outer-metropolitan, rural and regional areas of Victoria through partnerships with universities, local organisations and other entities. Download a PDF of our Research agenda 2018–2022. 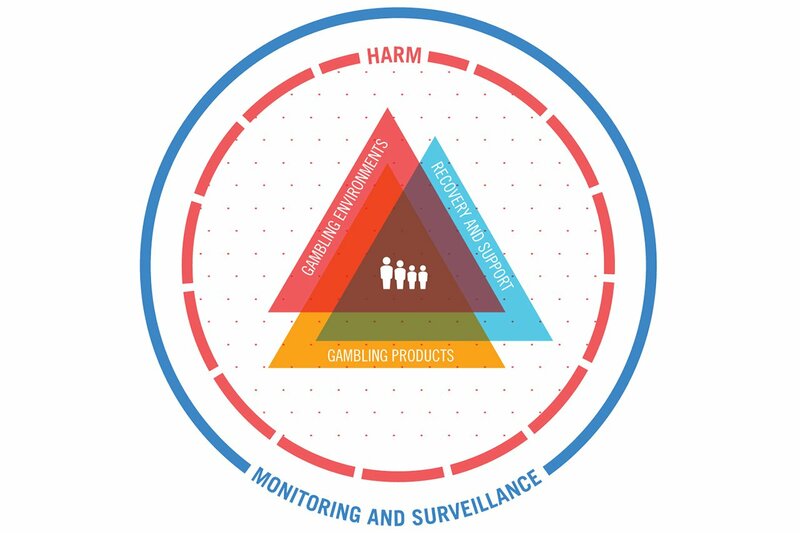 The Foundation has embraced a public health approach to gambling, and recognises the importance of regular monitoring and surveillance of gambling in Victoria. The Foundation will continue to lead and collaborate in monitoring gambling harm, risks, and the changing environment through a range of studies, surveys and intelligence gathering focused on improving our understanding of gambling in Victoria. Understanding harm, and its impact on the Victorian population, is of vital importance to the Foundation. Deepening our understanding of gambling-related harm remains a priority for research. This includes identification and detection of harms, protective factors, triggers, progression and escalation of harms and the mechanisms by which different harms affect the community. Research under this theme will focus on harm to both gamblers and others within the community, stigma and the normalisation of gambling (and related harms) in Victoria. The Foundation considers harm to be the lens through which all research is conducted, with a focus on understanding the drivers, nuances and impact of harm on individuals and communities. The Foundation recognises the need to keep up with the rapidly changing landscape of available gambling products. Technological advancements, the convergence of gaming and gambling and the introduction of skills-based elements to existing products require ongoing research into the impact of these innovations on the community. Product marketing and advertising, and the impact of new products and modalities such as sports betting, e-sports and fantasy sports are also key areas of focus. Finally, it is important to consider how products can be modified to improve user feedback and information, and how potential protective factors can be better implemented into the range of products available. In understanding the impact and modality of gambling harms in Victoria, improving the understanding of the broader environment is essential. Research under this theme will explore the various environmental factors that influence both individuals and the community, such as economic, societal, cultural, regulatory, digital, geographic and individual characteristics. Better comprehension of environmental factors has major implications for the development of prevention and early intervention projects and community wellbeing. Further, the Foundation is interested in interrogating the intersections between various environmental factors and groups within the community to better understand how these factors coalesce and influence harms and wellbeing. The Foundation provides treatment and support to those affected by gambling and related harms, including gamblers themselves, family and friends and the broader community. It is critical that treatment, interventions and support are underpinned by an understanding of best practice. There is an increasing need to better understand key issues related to the recovery process, including natural recovery, and relapse. Important too, is understanding gambling over the life course, co-morbidity and how to improve mainstream support and intervention across the range of services accessed by those affected by harm. Understanding the impact and best practice regarding education and messaging is vital to ensuring that key messages are targeted, relevant and effective.